This steampunk cockade is approx. 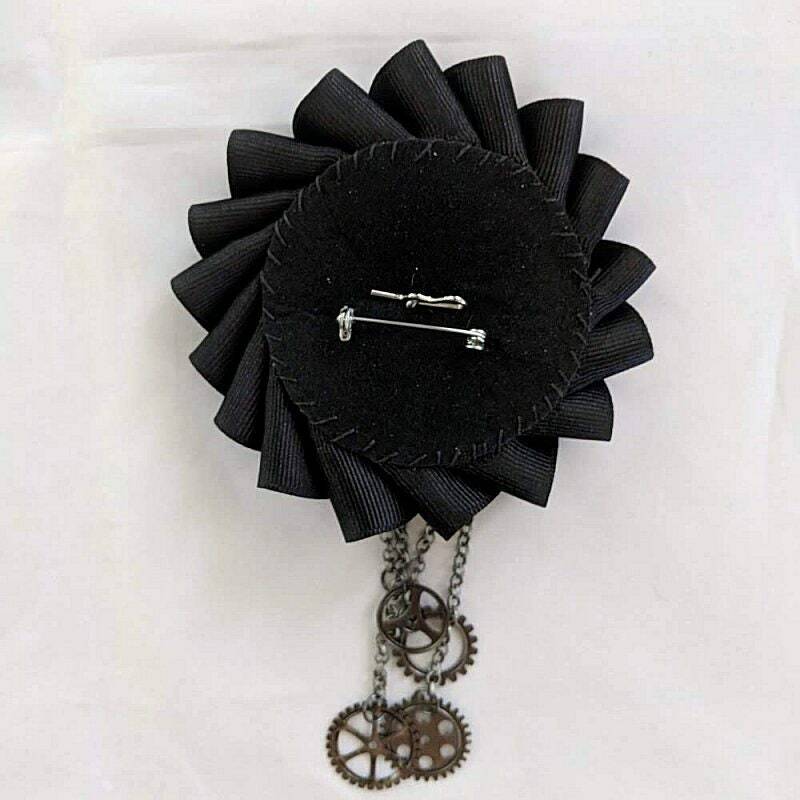 3 3/4" diameter and made with 1 1/2" grosgrain ribbon. 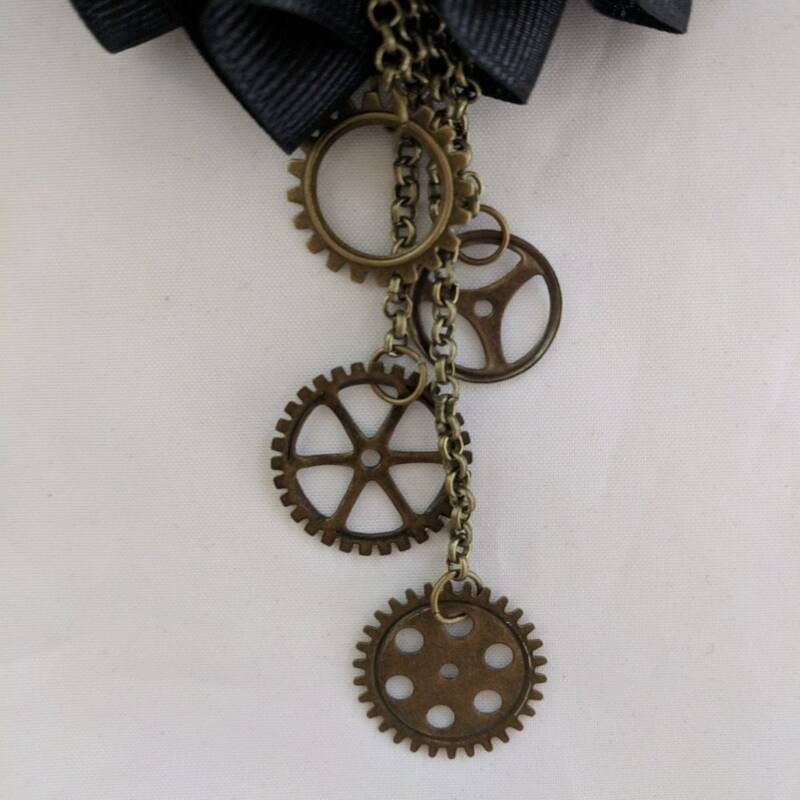 There is a large metal shank gear button with 4 staggered chains with 4 various gears hanging from them. 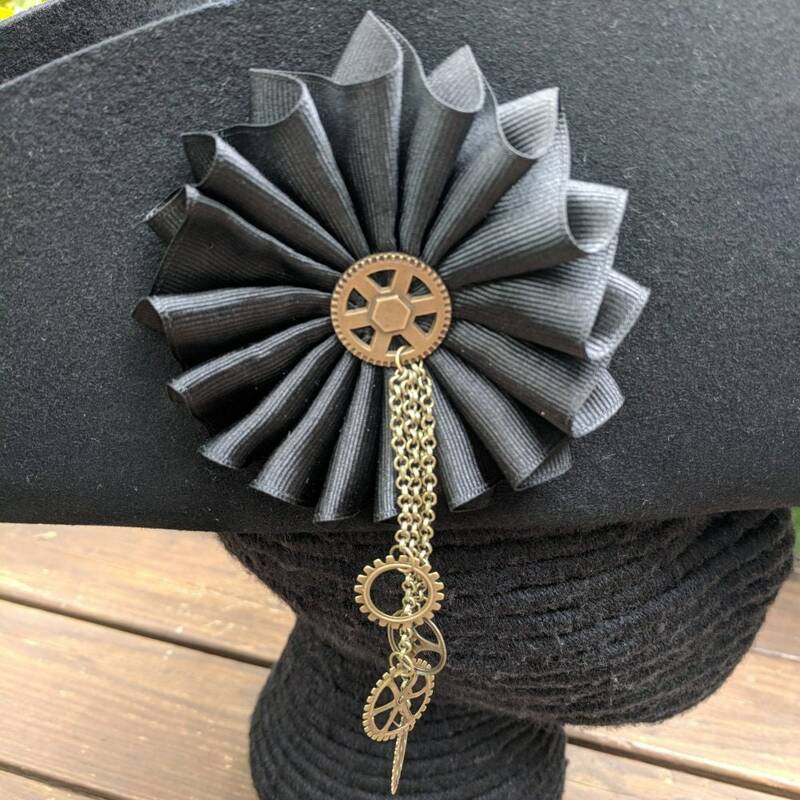 Wear it on a tricorn or bicorne to complete your steampunk costume! 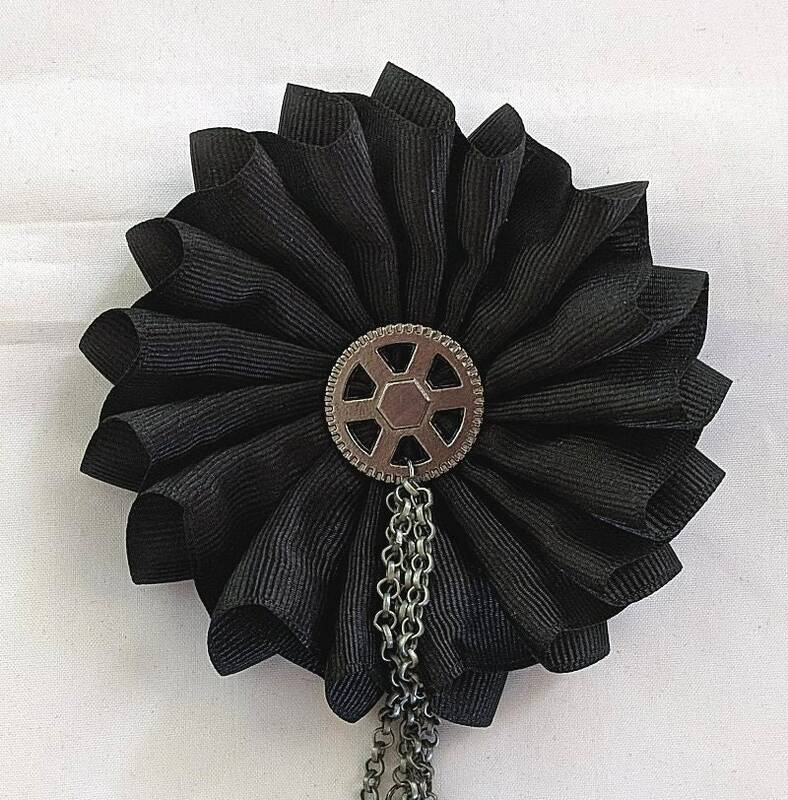 This would look great on a fore and aft bicorne with the chains hanging down to the side. 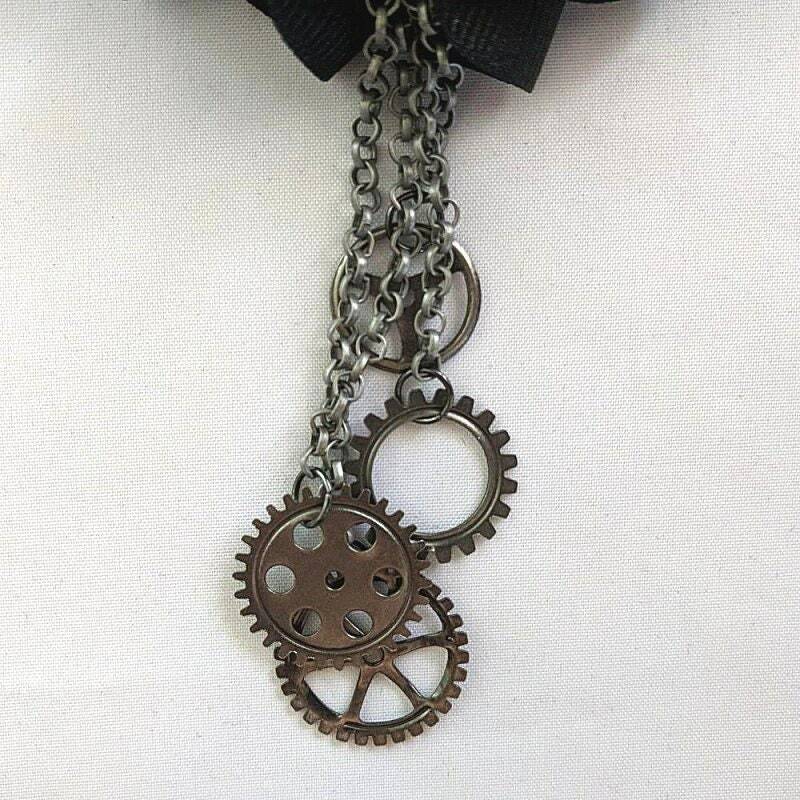 This cockade is also available with silver chains/button/gears. If you'd like a color other than black, please convo us! 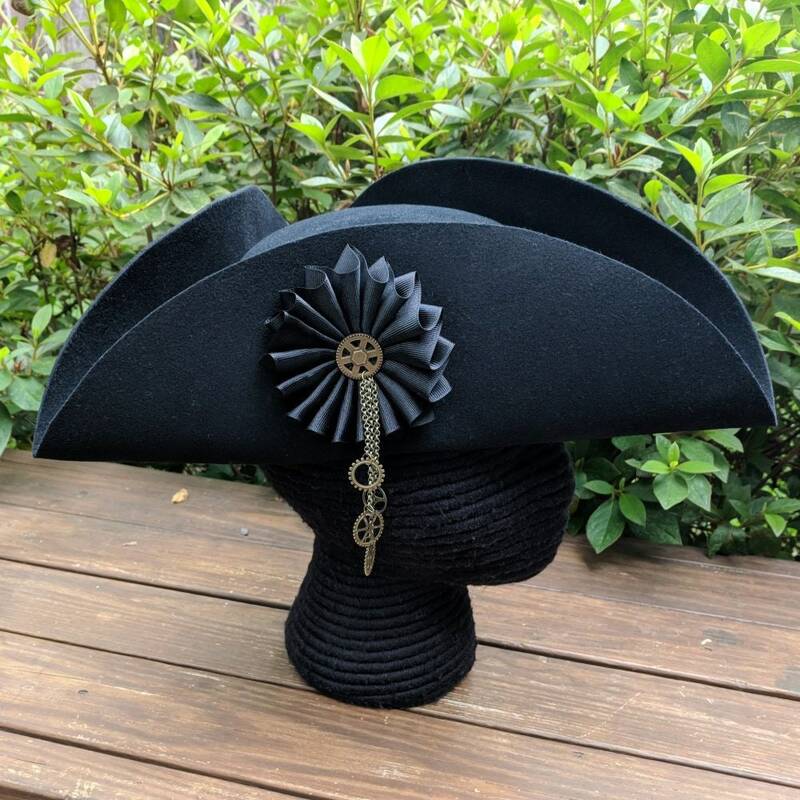 The hat and pictured is for display only. Not included in this listing! 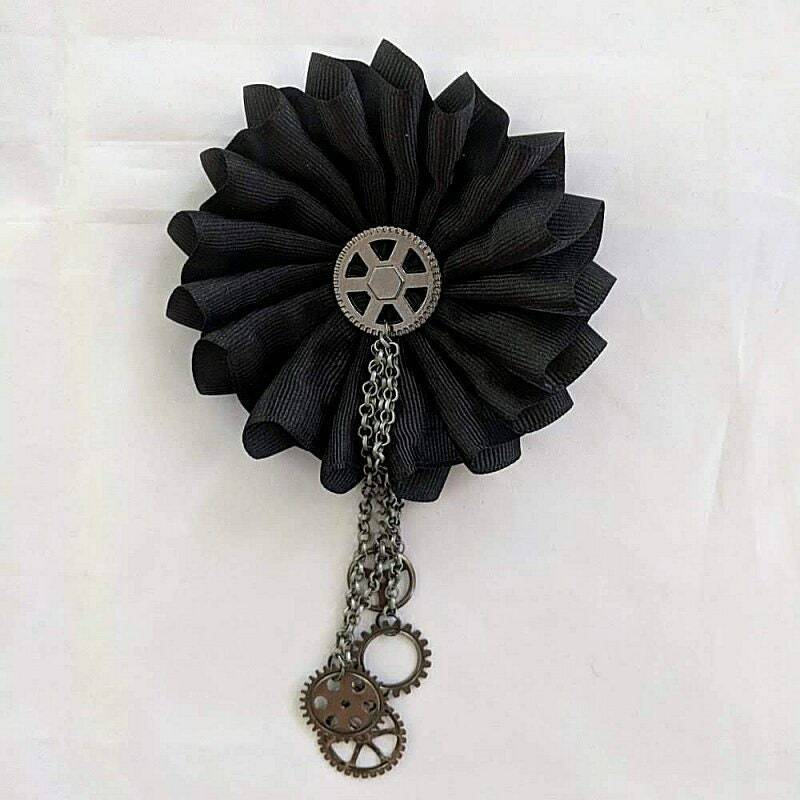 You can find it in a separate listing in the Hats and Headwear section or convo us for availability. 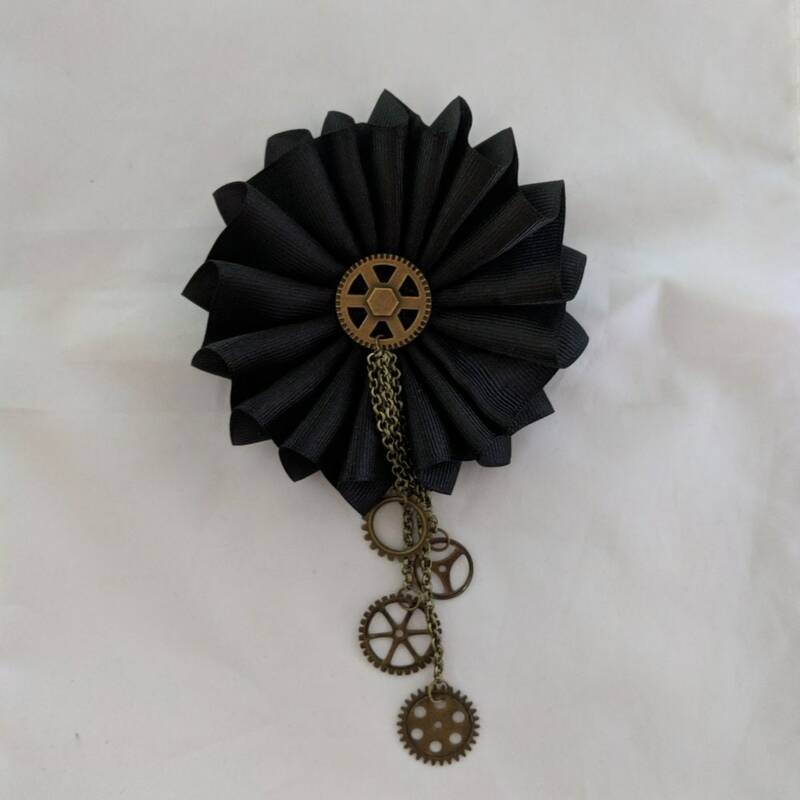 Keep an eye out for more steampunk hats and accessories coming soon. 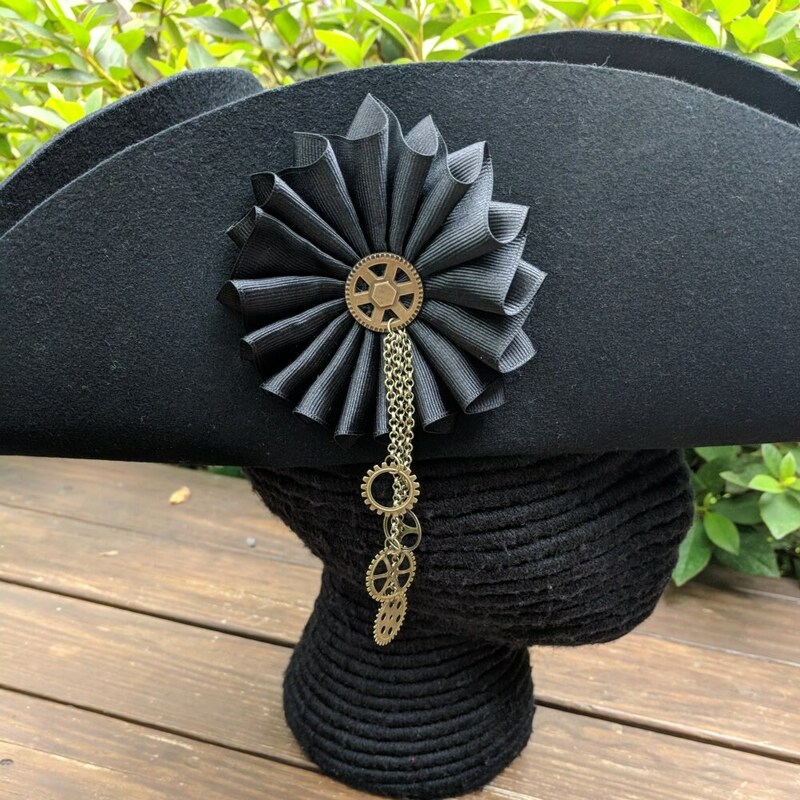 We now have a steampunk bicorne in our Hats and Headwear section.